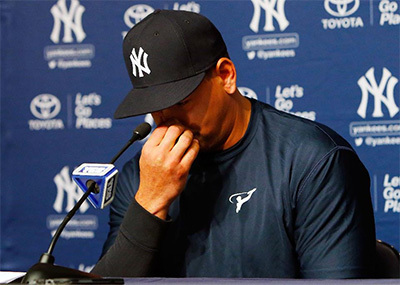 The end of Alex Rodriguez’s controversial career is finally upon us and several obituaries to commemorate the occasion have already been written well before his final at bat at Yankee Stadium. Some have declared that Rodriguez’s complicated legacy will be marred by horrible decisions, hubris, and a lack of authenticity. Others believe that Rodriguez is a disingenuous person who is incapable of speaking from the heart and relying on carefully scripted words. His insecurities and constant pursuit of undivided attention from the masses have greatly overshadowed several of the God-given gifts he had possessed as a baseball player for twenty-two seasons.